No one wins during and after a war. This week we are marking 100 years since World War 1 ended, and from hindsight, no one won. All participants lost people, and too bad the world didn’t get the memo because sadly, World War 2 still came. In Kenya, there are a number of memorial graves in where some of the dead accounted for during the war, in which Kenyans were involved, got buried. It is believed that at least 2 million Africans across East Africa were involved in this war which started in 1914 and ended in 1918. 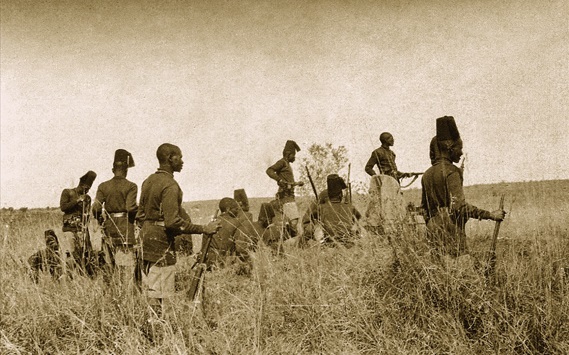 They were involved as either soldiers fighting a war they were pushed into as the King’s African Rifles, or as porters carrying ammunition, food and other supplies for the fighters. Kenya went down in history having fought on the British side, a reason our country will this November fully participate in the worldwide events to commemorate 100 years since ending of World War 1. The events will kick off with the Armistice Event and Remembrance Sunday, November 11th. The events will spread across Kenya up until November 24th. Stepping up in the commemoration will also be ‘Lest We Forget’, a stage play directed by Davida Leonard, which will screen in November the 12th, at Alliance Francaise. One is requested to be in position 30min prior to the service starting and not move around during the service. In the afternoon there will be a briefing on the history of the East African Campaign followed by a Service of Remembrance at Voi CWGC Cemetery. In the evening the official opening of the refurbished WW1 display at Taita Hills Lodge will take place. A series of events including Services of Remembrance at CWGC Maktau Indian Memorial, Taveta Military Cemetery, followed by a Military Parade in Taveta.